Once upon a time, long days at work followed by picking up kids and attending to household errands triggered a wave of complaints from folks desperate for relief when it came to meal prep. Clever inventors came up with ideas that delighted consumers: Slow cookers and crock pots. Deep fryers. One-bag meals that include meat and veggies and take minutes to prepare. But necessity being the mother of invention, according to Plato, subscription food boxes took convenience to a new plateau and were quickly embraced by singles, families and anyone eager to avoid the “shop and prepare” scene. This review profiles a variety of these food box subscription. Some have the capability of feeding you from breakfast to dinner. Others are designed just for snackers. Each promises to arrive at your front door like clockwork, so if you long to kiss the checkout lady at the market goodbye, one of these may be just what you seek! 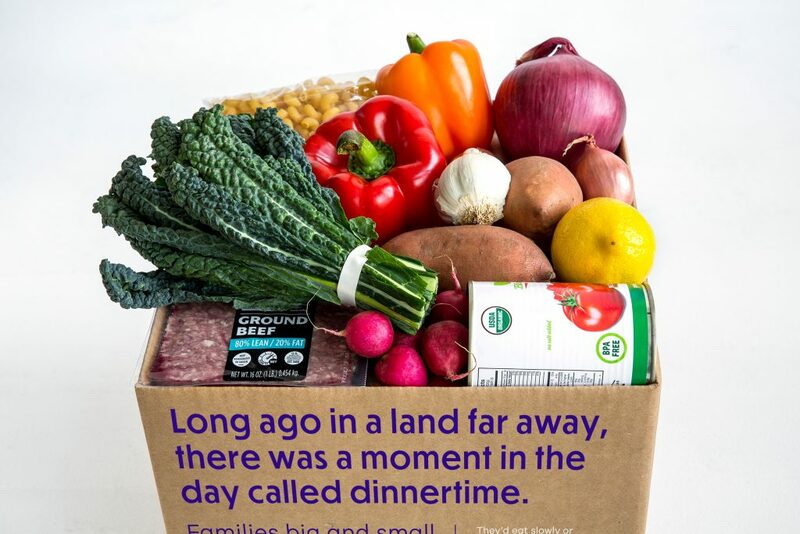 In 2014, American Express business writer Rieva Lesonsky profiled the rising popularity of food box subscriptions being marketed as a new trend. In fact, subscriptions have been around for more than a century, the brainchildren of newspaper and magazine marketers who rightly concluded that people were willing to pay more for home delivery. Along came book clubs, collector plates, figurines and CDs. These enterprises not only ensured a steady revenue stream for companies, but got consumers into the habit of opening their mailboxes to find more than bills and letters. These days, subscriptions to food box services are growing fast–especially among busy families who know the pizza delivery kid better than their neighbors. If the idea intrigues you too, grab a bib. The following 10 food box descriptions could send you running to the ‘fridge! Which of the Following 10 Food Boxes Tempts Your Palate? For busy family members whose lifestyles are so hectic, only pre-prepared meals delivered daily will do, Freshly may be your salvation. Subscribers consult 30+ options, dishes are cooked to order by chefs and delivered to your doorstep, ready to be reheated. If you prioritize healthy eating, the list of 85 banned ingredients cooks eliminate from recipes will impress you. Freshly cooks are mindful of portion size, ingredient quality and taste, so you are guaranteed sufficient proteins, vitamins and minerals and meals that are 40-percent larger than competitor portions. Your job is to peruse the site menu, select breakfast, lunch and/or dinner choices made with 100-percent natural ingredients and get on with your life free of shopping, chopping and cooking. You’ll receive meals in boxes made of recycled materials that won’t end up in landfills. Freshly offers plan choices that run at a variety of price per meal based on the number of meals you order, you can get 30% off your first order here and shipping is always free. Three dudes and a burger business? Pass the fries, please. The mac and cheese, too. Chef Paul Malvone and partners Sebastian Friscia and Chuck Sillari expanded their Boston Burger Company to include a subscription service after concluding that gourmet burgers and sides delivered to homes was an untapped market that they were perfectly suited to fill. Subscribe to BurgaBox and before you can say pass the pickles, ingredients and recipes arrive. Worried about quality? Angus beef is sourced from a top-draw purveyor and for the vegans in your crowd, there are two veggie burger choices plus gluten-free options, all prepared in a nut-free facility, so allergy sufferers can relax. Insulated boxes come with freezer packs to keep ingredients fresh and there is no shipping charge. 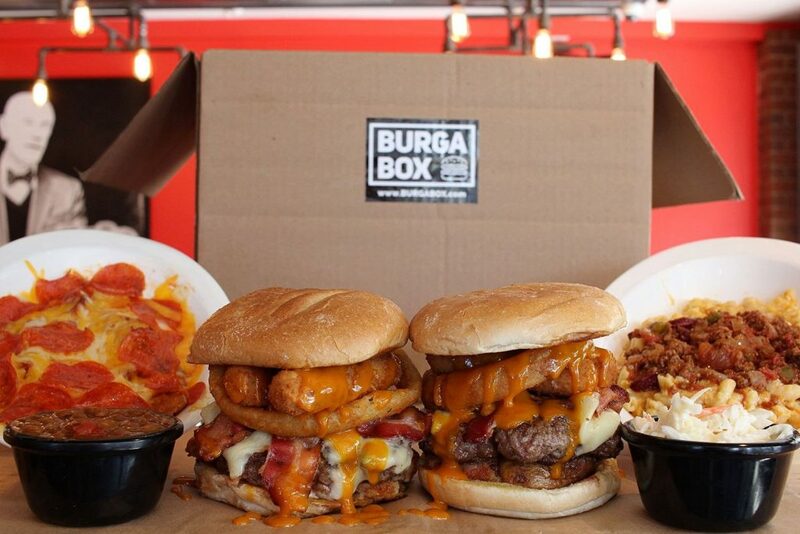 Choose from signature a la carte items for up to four people or become a BurgaBox of the Month recipient via either a 3- or 6-month subscription. Love the idea of preparing dinners that require only 6 ingredients? Dinnerly, the dinnertime de-cluttering solution, could be an answer to your prayers since meals are designed to satisfy the fussiest diners of all (kids). What recommends this subscription service to harried family cooks? How about price, which runs around $5 per serving? You set up your own delivery schedule and can even skip a week or two without lapsing your subscription. Relying upon fresh, in-season ingredients, Dinnerly’s secrets to keeping meals affordable include digital recipe cards rather than pricey pre-printed cards and using just 6 ingredients cuts down on chopping and cleaning prep. Don’t look for 4-color photos on boxes because that would drive up the per-meal cost, too. Environmentalists, rejoice. Dinnerly’s ice packs are recyclable and all shipping materials are, too. You can even start with a free trial before subscribing. What’s not to love? 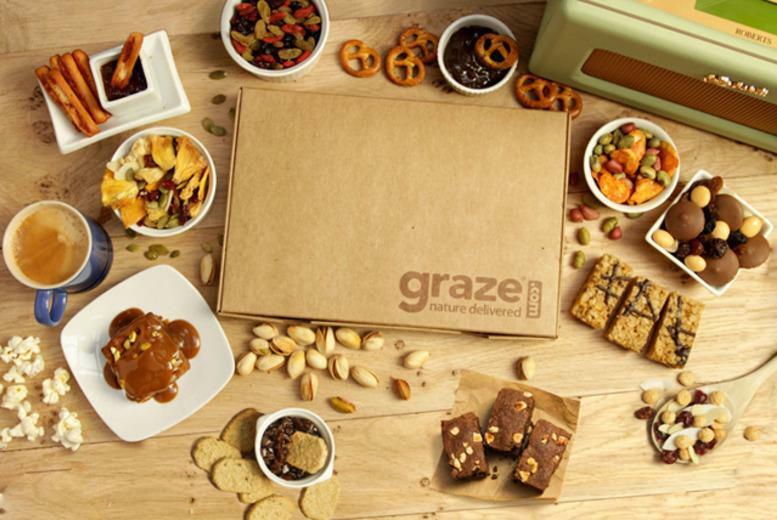 Given a robust media campaign waged by Graze, you may already be familiar with this snack box invented by friends who grew weary of pedestrian snacks that lacked taste, imagination and excitement. They launched their subscription service enterprise on a shoestring with more enthusiasm than resources, but their idea for delivering unique snacks to mailboxes quickly caught on because unlike over-the-counter products, everything in the Graze box is healthy and fresh. Using algorithms to determine what today’s snacker prefers, Graze’s Taste Team invented new recipes made of eclectic ingredients, turning quality control into a crusade. These days, it’s possible for the Graze team to put together 100 combinations of snack foods in custom assortments that run at a reasonable price per box (shipping included). Delivered between Monday and Saturday, it takes around a week to launch a subscription so you have time to finish those stale snacks in your pantry before their nutritious cousins arrive. As a little bonus, if you use the link below, you will get your first two boxes half price! Where does the name come from? The Spanish verb degustar, which translates as “to sample” or “to taste.” Snacks you’ll order through this portal are made up of tasty pairings–each a snacking extravaganza comprised of between 9- and 14-ounce products coordinated to deliver a sweet or savory assortment fine-tuned to suit the season, though you’ll order your snacks by the month. 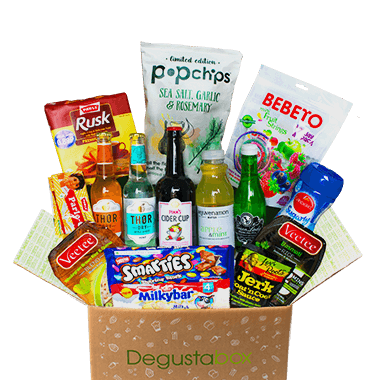 You’ll recognize domestic brand names like Bush’s, Welch’s and Entenmann’s, but you’ll also treat your taste buds to Spanish snack manufacturers for less than 20 bucks monthly (shipping included) after visiting the DegustaBox website and browsing your options. You can cancel at any time if you don’t like your box contents, but you probably won’t because the DegustaBox offers exotic snacking at below-supermarket prices. In sum, you get both value and convenience without the long-term commitment. You may even be inspired to learn Spanish after indulging in these delicious treats. What separates Taste Trunk from other snack box subscription services in this review? Aesthetics. 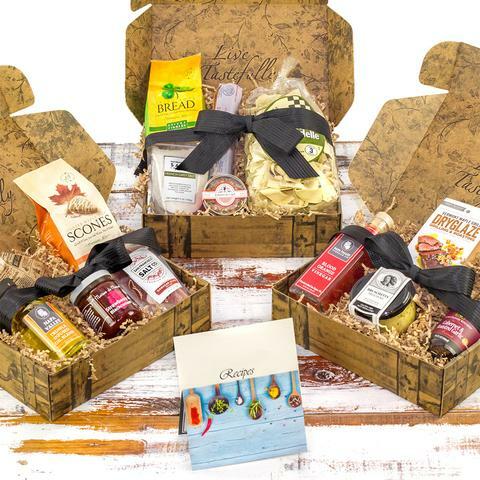 These assortments of themed, curated goodies are beautifully packaged, so consider this a gifting site more than a way to feed your family—unless price is no object and you already snack on the pricey side. Taste Trunk subscriptions are ideal for those in need of a constant flow of gourmet gifts or corporate gifts and these treasure chests are also big on the wedding and special event scene. The “sort by” pull down feature on this website is handy of you’re trying to decide between a Gourmet, Barbecue, Sweet or Healthy Chef subscription or if you have a limited budget. 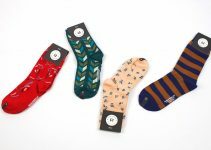 Pricing begins around $40 for pre-picked selections that are as unique as the designer packaging. Don’t look for typical contents. 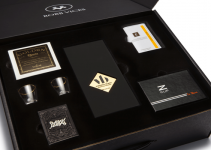 Boxes may hold one-of-a-kind picks like aged bourbon, imported pastas, sweet treats or theme-related assortments with fun names like the Death by Chocolate selection. Alternately, create your own mix. Subscribe for 3 or 6 months and you’ll always be ready to impress. 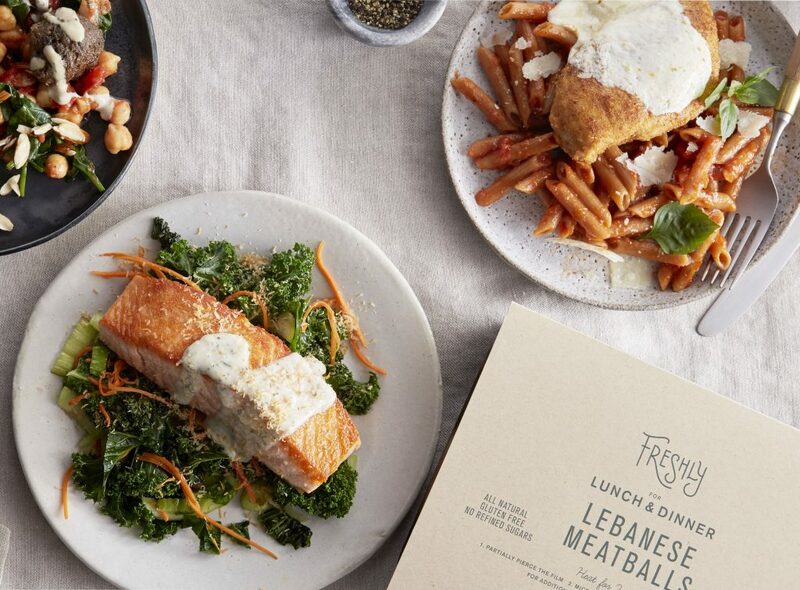 Promoted as “your weeknight dinner solution,” Hello Fresh is like Dinnerly; ingredients and directions for making meals arrive on your doorstep based on your household size and dietary preferences. To assure you of variety, Hello Fresh chefs devise 15 new recipes weekly, carefully sourcing ingredients and shipping everything in recyclable boxes fitted with ice packs so everything stays cool. 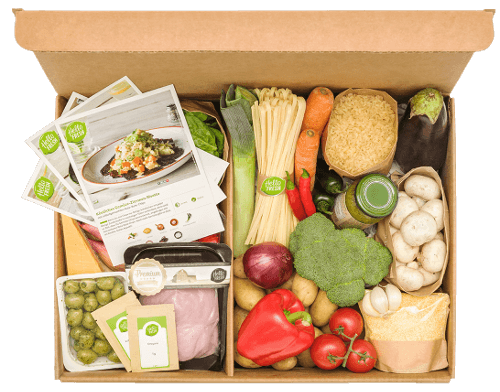 Hello Fresh is more than a food box subscription resource. Read the blog for entertaining and dining tips. Learn which wines go with the meals you pick and then order bottles directly from the site. Hello Fresh can help you stock your kitchen with cooking tools and there’s even a Little Cooks section to introduce your kids to the art of meal prep. Boxes are affordably priced per serving, you can get $20 off your first two boxes here and shipping is free, but you’ll have to pay extra to add the wine subscription service! 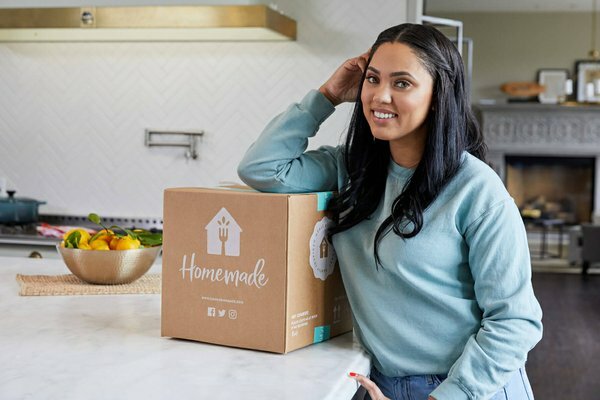 Crate Joy offers a bounty of subscription box choices but if all you want to do is prepare a chef-inspired meal, follow the lead of Ayesha Curry, the culinary genius behind these family-inspired meals. Initiate a subscription and Curry will oversee the picking and packing of ingredients that are shipped on Monday, so you may have everything you need to prepare your first meal on Tuesday night. Current subscribers rave about the delicious recipes and wholesome ingredients, though you’re not going to find the nutritional values of dishes you prepare on the recipe cards, so it’s going to be up to you to make sure meals adhere to the U.S.D.A. food pyramid. That stated, every recipe is easy and fast to prepare and you’ll even find coloring books for the kids so they don’t pester you when you go about putting your dinner together! 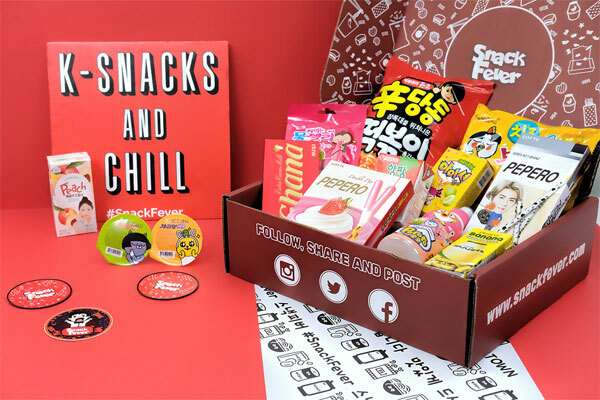 If you find it convenient to do business with only one subscription service entity for all of your mail order needs, Crate Joy presents a snack box service that’s fun and exotic: The Snack Fever Box comes to you from Korea filled with Asian treats that run the gamut from Ramen noodles to sweet treats and “cool swag.” But since contents are a mystery, you won’t know what you’re getting until you open Snack Fever each month. Positively reviewed by snackers who have subscribed for years, this $14 per month subscription service is aimed at folks who are bored with ordinary snack foods and want to try new tastes and textures while having fun with items that entertain and delight included in each box. Shipments drop on the 3rd, 13th and 23rd of each month and there’s no shipping charge. A Crate Joy Snack Fever Box subscription makes a terrific gift for the people in your life who have everything. 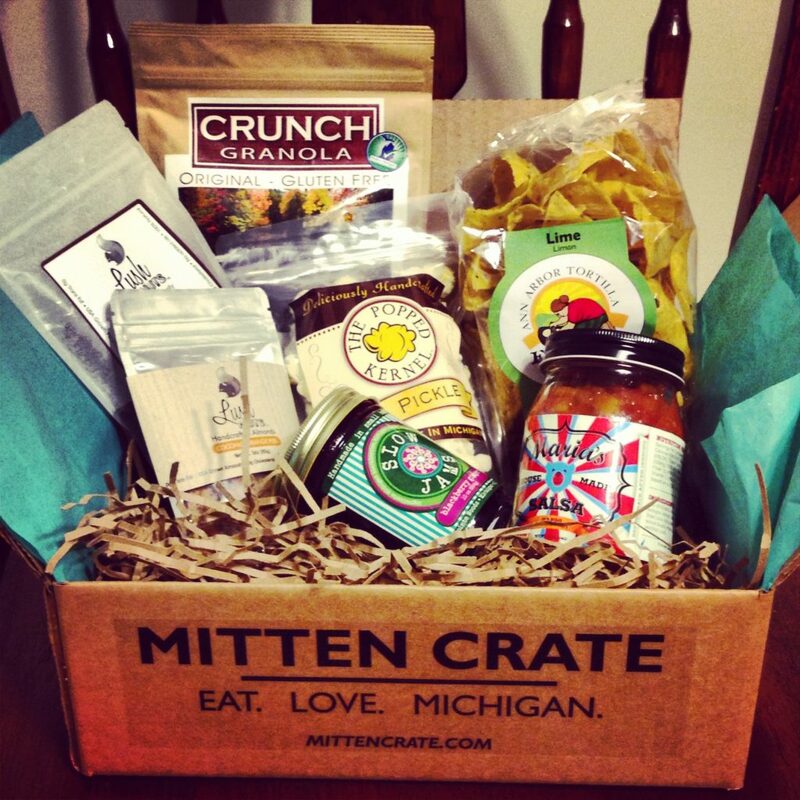 A third Crate Joy subscription option, designed specifically for gourmands who appreciate artisan foods sourced in Michigan, is the Mitten Crate that includes from five to six unique food items each month. Fresh-picked and packed treats are mailed to subscribers on the 15th of every month and there’s no shipping charge added to the $35 tab that covers this Michigan-sourced bounty of snacks. The Mitten Crate not only delivers on nutritious and delicious contents. For every crate shipped to your home, three meals are donated to worthy charities so think of this as the gift you give yourself that literally keeps on giving. If the idea of locally-sourced foods that tempt palates excites you and you like being part of an inspiring food donation program, the Joy Mitten Crate can satisfy all of your cravings!